Some plants seem to be our constant companions, no matter where we live. Often, they will also be some of our really useful species. It will soon become clear that the common mallow (Malva sylvestris) is one of these plants. Rather than being looked upon as a weed, the mallows can be more usefully described as some of our gloriously abundant plant helpers. A number of mallow species have long been used as a food and medicine, wherever they are found native, and especially in the Middle East and Asia. 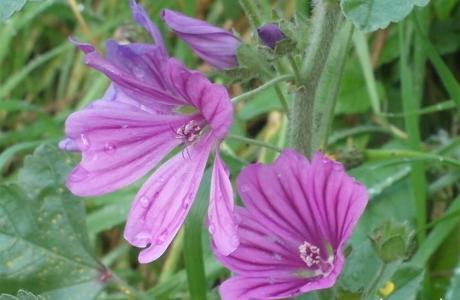 You won't have far to go to find the common mallow in most parts of Europe, North Africa and Southwest Asia either.